You know how some shows peak in the first few seasons and then take a creative nosedive, getting dragged out for years without a return to form? Sterling Archer literally doesn’t even know how to fail. Wait…yes, literally. Entering Season 6, Archer is going through more big changes after a Season 5 departure into the world of coke dealing. But having seen the first six episodes, I can tell you one thing remains the same: this is still one of the most well-written shows on TV. It’s also one of the lowest-rated shows out there, at least when it comes to amazing comedies, and that garbage has to stop. To guide my argument, here are five reasons why Archer is better than ever, and why you literally need to start watching it right now! Wait…not literally, depending on when you’re reading this, as Season 6 starts tonight on FX. Gone are the massive bundles of cocaine and dirty dealings with cartels – at least for now – as the somewhat coherent Vice storyline has been left behind for the one-and-done episodes of seasons past, with Archer and the gang now doing side jobs for the CIA on an official level. (Bye-bye forever, ISIS!) 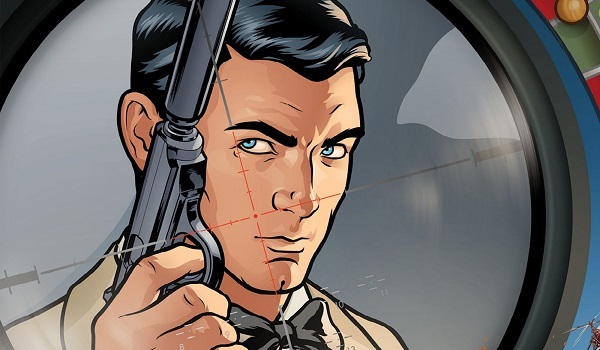 Some people will undoubtedly prefer Archer’s connected storytelling techniques, and I was a huge fan of that approach as well, but a big chunk of my love for this series is being able to put on nearly any episode at any point in time and enjoying it for its standalone genius without having to remember what’s happening in the plot. It’s Get Smart with Lucy levels of brain activity, and this season gives us some dangerous and twisting missions, along with an elevator-centric bottle episode that couldn’t embody this show’s spirit any better. And don’t get me started on the consistently giggle-worthy wordplay and catchphrases, because I’ll enter a quote vortex that I won’t soon escape from. To further cement Archer’s place in Perfect Sitcom-dom – because I really do think of this as a sitcom where the jokes are just far too fast and furious and animated to allow for a live studio audience – the arrival of Lana and Archer’s baby daughter Abijean, or A.J., has added far more humor than aggravation. And it feels like A.J. is the way creator Adam Reed is allowing slight changes to flow through this season. Where many series’ “baby seasons” are where things get hammered down by saccharine plotlines, Archer’s characters are clearly not comfortable with a child being around, which makes for some great moments of harsh adult childishness. (Is that irony, Cyril?) While it’s not great that Lana gets sidelined in some episodes because she’s doing baby-related things, it’s allowing her and Archer to bond in a different way than just quippy sexual tension. And the episode with guest Kumail Nanjiani, in which Archer is the alpha drunk father/babysitter, is another fine example of how this series can add high stakes to low-intensity narrative foundations. Christian Slater and Barry are Back! 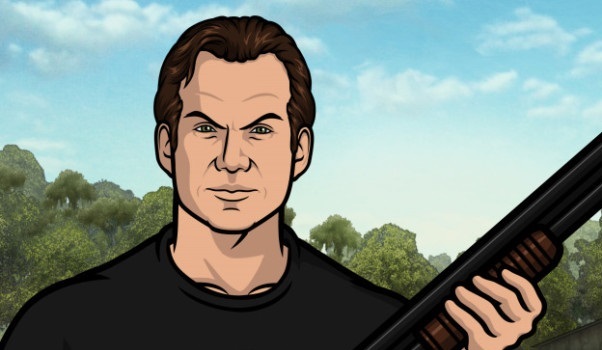 One of my biggest hopes for Season 6 was that Archer would bring Christian Slater back in some way as arms dealer Slater – no Mr. needed. And not only is he here, playing excellently off of Jon Benjamin, but he’s serving as another avenue for the spy team to find jobs. (Admittedly, the CIA influence isn’t felt too strongly in this first half, which is also lacking in Jessica Walters’ Mallory Archer, but I’m hoping it pays off.) Another one of Archer’s foes is back as well, as Barry the Cyborg reappears for more casually insane revenge-taking, and one of the series’ creepiest moments. That episode, “Edie’s Wedding,” is probably my favorite so far, with Pam taking Archer to see her sister, played by Fargo’s Alison Tolman, get married. Their sibling rivalry shows off even more of Adam Reed’s ability to craft insults, and the plot envelops it in a smart way. Archer’s animation looks sharper now than it ever has, but there’s no denying the hard-outline look doesn’t allow for the most fluid movement. However, there were a handful of scenes in the first half of Season 6 that aimed high with action and animation direction, and not just for huge episode-ending climaxes with explosions. I’m talking middle of the episode, slightly shaky-cam cinematography, with things constantly happening onscreen. There is one fight scene in particular that feels like The Bourne Archer-matum, with an extended bit of close-up fisticuffs. 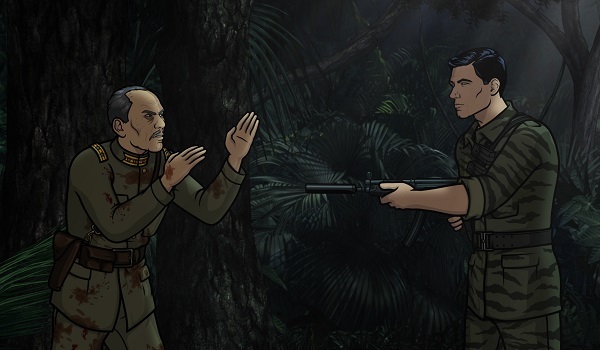 And because this is Archer, the action is generally played for a laugh in some way, so that just makes it even better. Don’t get me wrong, this isn’t Chuck Jones or anything, but it’s great to see the bar still getting raised on this series in some areas, especially since we already know that Season 7 is coming next year. Just don’t raise the bar too high, or Archer won’t be able to reach his bourbon while lying facefirst on the floor. 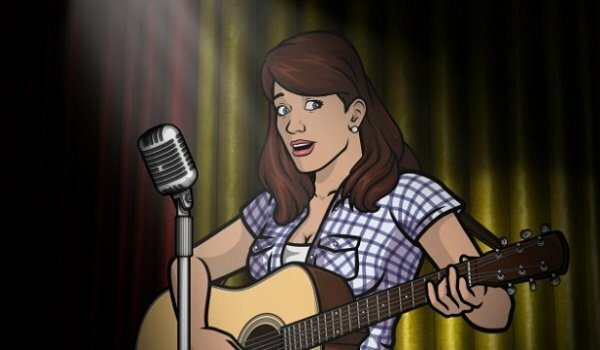 As Mallory’s dimmer-than-space assistant, Pam Greer’s Cheryl gets winning lines 90% of the time, but her Season 5 stint as country music star Cherlene sat worse with me than anything else Archer has ever done. It was funny, sure, but just too much of a character 180 to work completely. (The “microchip” reveal was priceless, though.) Thankfully, Cheryl is back to her old tricks, and she’s seemingly dumber than ever. But not so dumb that she couldn’t redesign the rebuilt ex-ISIS offices for the gang to work out of, a first-episode plot point that introduces Milton, the robot. Well, maybe robot is stretching it, as it’s basically a giant toaster on wheels that can navigate its way around things. But that’s what makes it special, dammit. I’m hoping Cheryl and Milton get their own adventure by the end of the season, perhaps within a butter and jelly factory.